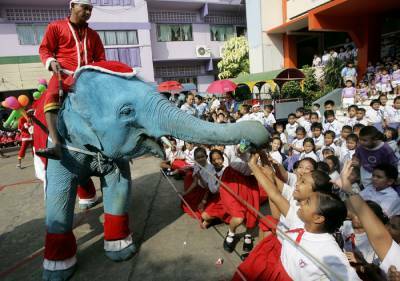 It’s the holiday season, even in Thailand. Christmas decorations are everywhere and the Thais love celebrating the New Year. Most tourists and expats like to shop here because they can get great bargains, so you should know how to ask for one! 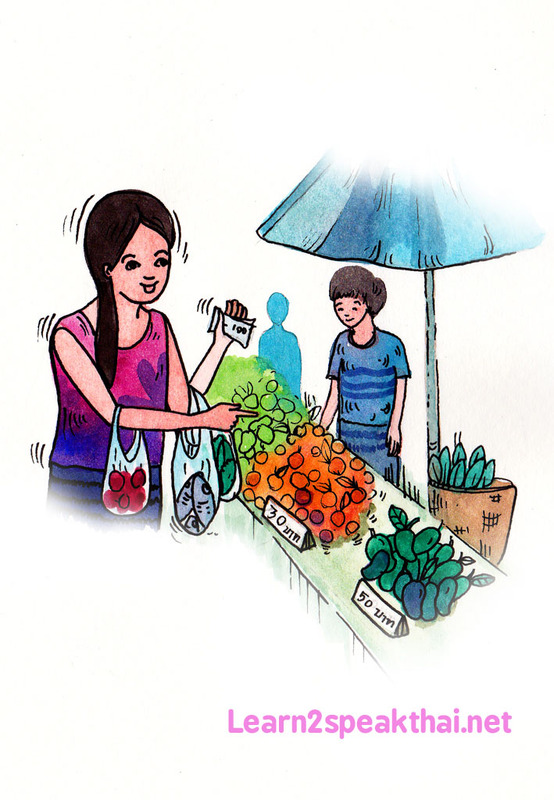 One of the unusual things Westerners have to adapt to here is the bargaining culture. Thais love to talk and with the talking comes the bartering, haggling and negotiating. For the most part is it fun, so don’t take it too seriously. เท่าไหร่/ tâo rài/ how much? กี่บาท/ gèe bàat/ how much? ลดได้มั้ย/ lót dâai máai/ Can I have a discount? Most tourists and expats already know how to ask for price and discount. Sometimes the vendor will ask you how much you’d like to pay. I’ve been told to ask for half the price. So if something is 600 baht to ask for 300. I don’t say this as a rule of thumb, but as a warning not to go too low. I’ve insulted vendors before by asking for too much of a discount. Then of course, the vendor will offer something like 550 and you can go back and forth negotiating the price of your desired object. Remember to keep it light. Some vendors will seem “stingy” but through haggling you can generally come to a consensus or agreement. It’s popular in Thailand to have the seller show you a calculator with the desired price. You could also bring a good bargaining partner. Some of my friends are very good at negotiating and shopping in Thailand. My friend Julia, on the other hand was horrible. She kept agreeing with the vendor! or maybe it’s a saving face thing. Also, don’t show too much interest. At least that is what I learned from my mom, be willing to walk away. My mom arrived in the United States when she was 23 years old from Thailand. So culturally she was and still is very Thai. After my father died unexpectedly 10 years later, she found herself with 2 kids in a foreign country. She had to become a single mother, an independent woman. I remember when we had to buy a new car. My brother and I were waiting FOREVER for her to negotiate with the car dealer. By nightfall, my little brother and me were waiting outside of the Ford dealership sitting on the sidewalk. I couldn’t believe it. I thought we were finally free. But we turned back around. Any protesting would have been met with ตามใจ/dtam jai which translates to “follow your heart” but it’s closer to the English idiom “suit yourself.” She was getting the car, we needed a car, so we children waited some more. I never feel comfortable with bartering and haggling over prices, I do it in markets as I feel otherwise I am probably being taken for a ride! I never doing very seriously though. The problem is you really have to know what is a fair price. My wife used to be expert at it. Usually starting with a joke, she would do all the walking away dramas and so on. My job was to be the straight guy, telling her that it was still too expensive and that we could not buy it. All to save a few rupiah or lire. @Keith, you are right about men..they dont like to bargain too much..if they find its expensive they just walk away…right? Ha ha – I think men are the same the whole world over!! Very good point Keith about not knowing what is a fair price. The best advice I can think of is to pursue and take your time by comparing prices. Although folks that are usually good with money, I think, have a tendency to already to this. No impulse shopping! Sometimes I buy me a beer at the market, at the same place where Thai people go, so low price and no bargain possible but I will say someting like : lot rhaakaa? mai dai? how aan nii mai thuuk! pom kit waa an nii phaeng maak! khun mai ruu wa pom bpen farang jon! of course with a smile and expect make contact and keep practicing. lol Michel , you are funny!!! -lot rhaa kaa dai mai? :can you give a discount? -aan nii mai thuuk : this one is not cheap. -pom kit waa an nii phaeng maak! : I think, this one is very expensive. -khun mai ruu wa pom bpen farang jon! : you don’t know that I’m a poor foreigner. sawadee chap what is the meaning?